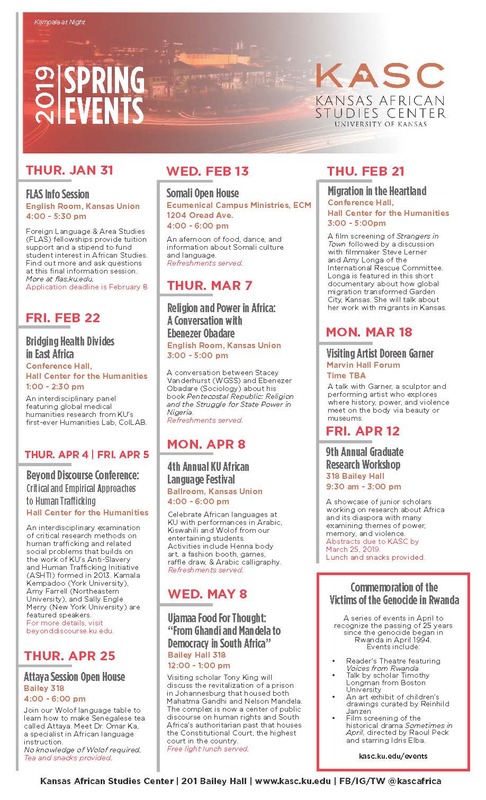 LAWRENCE — The Kansas African Studies Center will host the University of Kansas' second-annual Africa World Documentary Film Festival (AWDFF) on campus next week. The festival, which opens Wednesday, April 17, and runs through April 20, will feature 16 films submitted by directors from all over the world. Each film was selected to promote the knowledge and culture of the people of Africa in a Pan-African context. Subjects explored in these films vary greatly, from the musical life of South African singer Miriam Makeba in “Mama Africa” to issues of housing and the law in “Dear Mandela.” One of the films, “My Mother’s Club,” directed by Kansas City filmmaker Rodney Thompson, centers on African-American women’s social clubs in Kansas City during the 1940s, 1950s and 1960s. KU is the sixth stop on this international traveling film festival, sponsored by the E. Desmond Lee Professorship in African/African American Studies, International Studies, and programs at the University of Missouri-St. Louis. The festival will leave Lawrence to move onto Kingston, Jamaica; Bellville, South Africa; and conclude in London. The KU film selection committee was composed of doctoral students David Sutera and Zach Ingle in film and media studies, and Marwa Ghazali in anthropology, as well as Christina Lux, assistant director of the Kansas African Studies Center. Sponsors include Ermal Garinger Academic Resource Center, KU Libraries, the Office of Multicultural Affairs, the University Honors Program, and multiple departments and programs in the College of Liberal Arts and Sciences. Films will be screened in Wescoe 3139 and 3140 starting at 7 p.m. April 17. This event is free and open to the public. For the complete film schedule and trailers, check out the online program.